Ms. Kimberly A. Farrell is the founder and CEO of Unlimited Performance Training® (UPT). Kimberly has led the firms' growth over the past 15 years through the development of a talented consulting team and the creation of several award-winning learning and development programs. All UPT® curriculums are known in the industry as having a specialized integrated learning approach to employee development. The unique and sophisticated experiential learning models created by UPT®, target and measure learning outcomes for Fortune 500 clients. A sought-after author, executive coach and speaker on leadership, cultural competency and building diverse talent pools, career management and team development, Kimberly has been published in business and industry press several hundred times for her wisdom on advanced leadership practices for high performing leaders. She is known as an engaging educator giving top rated keynotes at over 100 medical, business, academic, industry and not-for-profit events. In 2014, Kimberly recently earned the highest rated TEDx keynote for her talk on leadership to the Executive Leaders for the City of Los Angeles. In 2011 & 2013, she was one of two featured keynote speakers at the University of Notre Dame, Mendoza College of Business conference (UWIB). 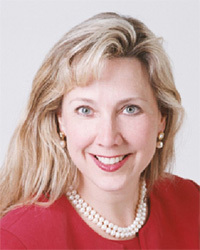 Throughout her career Kimberly has generously given back to others by serving on Boards such as: Pharmaceutical Representative Magazine, FOCUS Magazine, the Society of Pharmaceutical and Biotechnology Trainers, City of Hope, Boys & Girls Club of America and the Healthcare Businesswomen's Association (HBA). She was in 2004, awarded the prestigious HBA Global STAR (Strategic Transformation Achievement Recognition) Award for her work in strategically transforming the HBA through her work building the Chicago Chapter. As a HBA Board Mentor she was awarded Mentor of the Year for HBA Greater Philadelphia and has earned two Chapter of the Year Awards while Mentoring both the San Francisco and San Antonio Chapters. In 2003, Kimberly became the Founder of the Chicago Healthcare Businesswomen's Association Chapter while during under her leadership as President of the Board she produced one of the top-rated Chapters of all time, in Chicago, which now serves over 700 healthcare members. Kimberly received her MBA from the University of Notre Dame in South Bend, Indiana and her undergraduate degree in Business, Marketing, from CSULB. She attended CSULB on a full athletic scholarship where she was Team Captain on the #2 ranked NCAA Division I basketball team. In 2013, she was inducted into the Burroughs Basketball Hall of Fame for her basketball achievements. She lives in California with her husband and two sons where she writes, enjoys theater and engages in sporting activities.